Frieze Art Fair opens its doors to the public today. After joining the queue of VIPs eager to pass through the coveted doors I was able to enjoy the preview of the 11th edition of THE London contemporary art fair. Lots of changes were promised this year. A new architecture and layout of the tent, less exhibitors, less invitations to the preview and a limited number of tickets on sale. Why? Frieze had been criticised lately for being overwhelming (read: impracticable) and for having become the epicentre of parties around town rather than a gathering of collectors and art aficionados. Well the change is a success! I enjoyed the fair tremendously. Firstly, you actually do get to see the works. Less exhibitors mean that after a first look you can go back again and again and again. Less invitation mean that you are not spending more time trying to carve your way through aisles rather than looking at the works. Secondly, the selection is of the utmost quality which you can appreciate since you are seeing it. Finally, the heavy weight are (for the most parts) at Frieze Masters which leaves room to discovery. 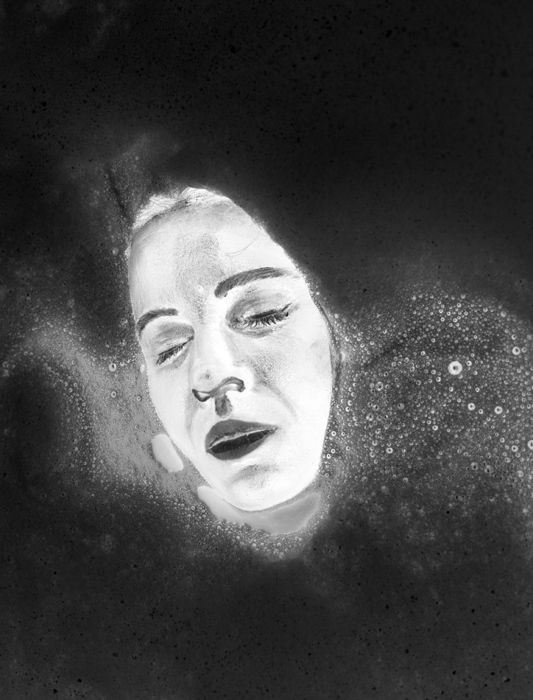 In the Focus section, do not miss, Aneta Grzeszykowska at stand F29 with her powerful photographs from the Negative Book series. 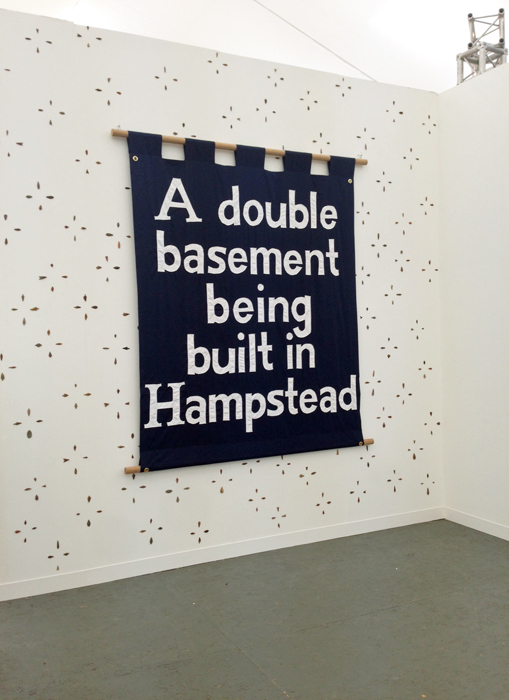 Stand C9: Jeremy Deller “A double basement being built in Hampstead” is indeed a must. 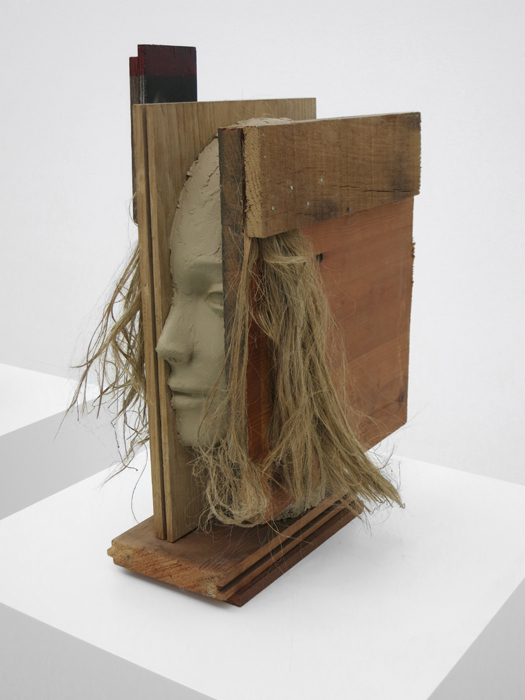 Stand C10: if you missed Mark Manders in Venice here is your chance to see his work in London. Stand D14: Kader Attia broken mirror is disturbingly alive. 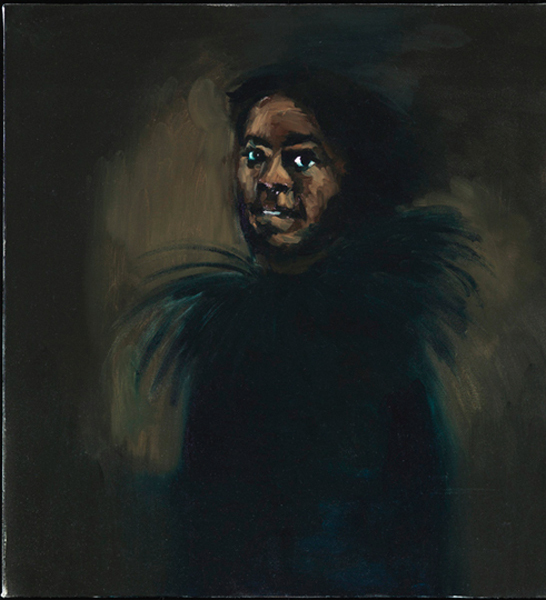 Stand D15: an important selection of works by Turner Prize nominee Lynette Yiadom-Boakye are a chance to appreciate not only the representations but her pristine technique. Stand B9: it is always good to giggle in front of David Shrigley’s work. Stand G6: I also enjoyed paintings by Peruvian artist Sandra Gamarra. And I will go back for more!